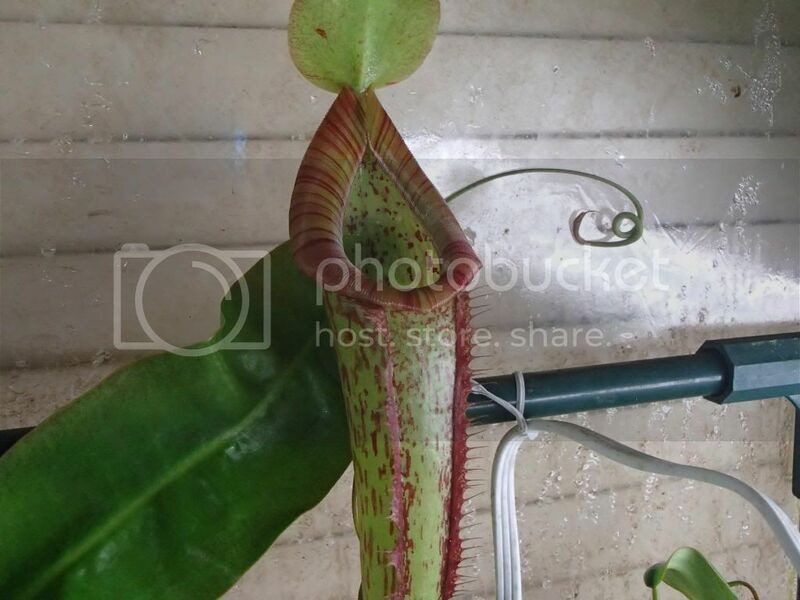 Yeah, but I inherited the family green thumb. It gets ridiculous, I have grown a lemon tree. In Michigan. When I was 5. From a fruit bought in a normal grocery store. In my family, you either have a green thumb that rivals that of the Greek goddess Demeter, or you have the thumb of death. 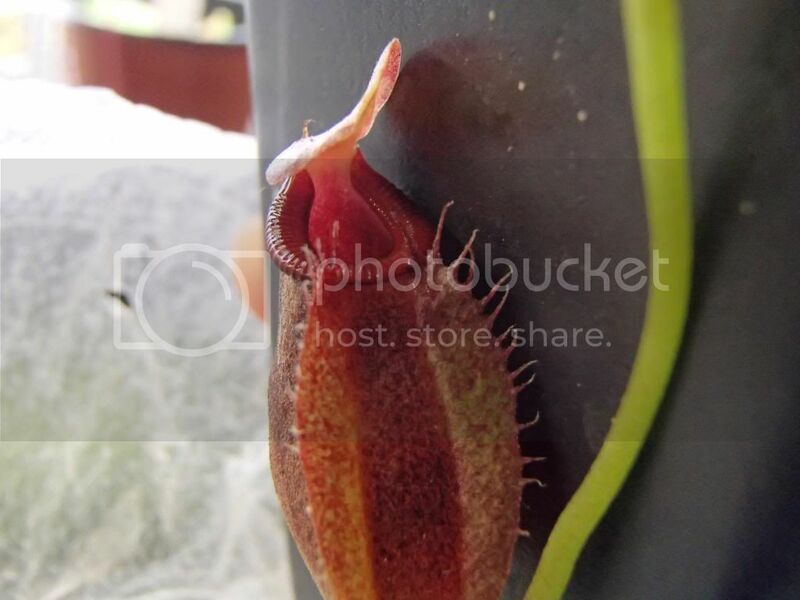 The family members with the thumb of death can't so much look at an indoor plant without it dying, while those with the super green thumb like my grandma can somehow forget to water their orchid sometimes, and yet all it does in response is live more than twice as long as most people manage to get them and shoots out another flower stalk. It is ridiculous. 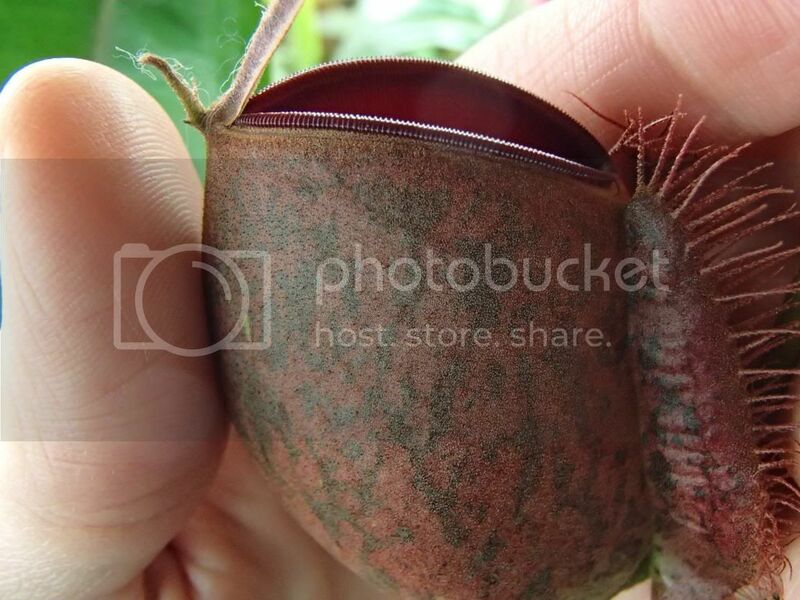 I want a plant that will stay small, even after years, small being it fits comfortably within a 12 inch pot at its maximum size. I also prefer those that do not vine. 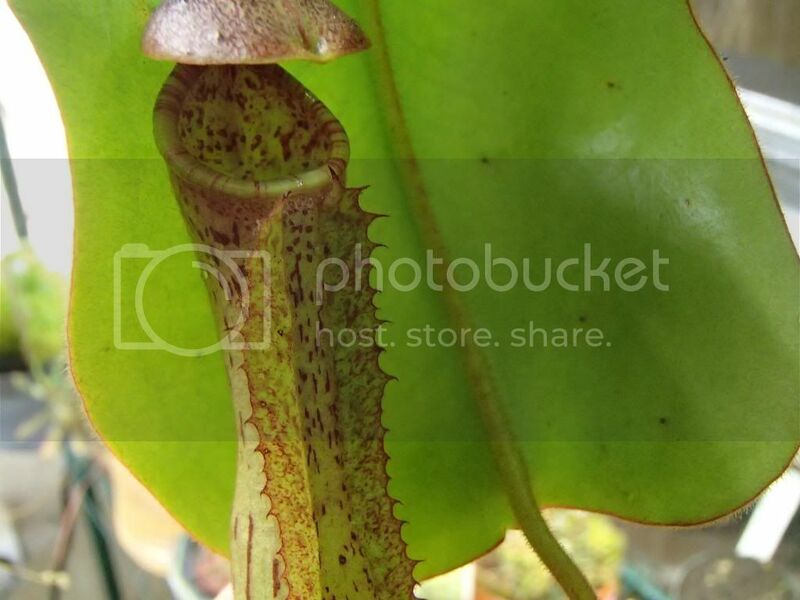 I have looked into N. campanulata, but it is less that spectacular color wise and difficult to find. Although, I do plan on making my purchase in April, so maybe places will be restocked by then. 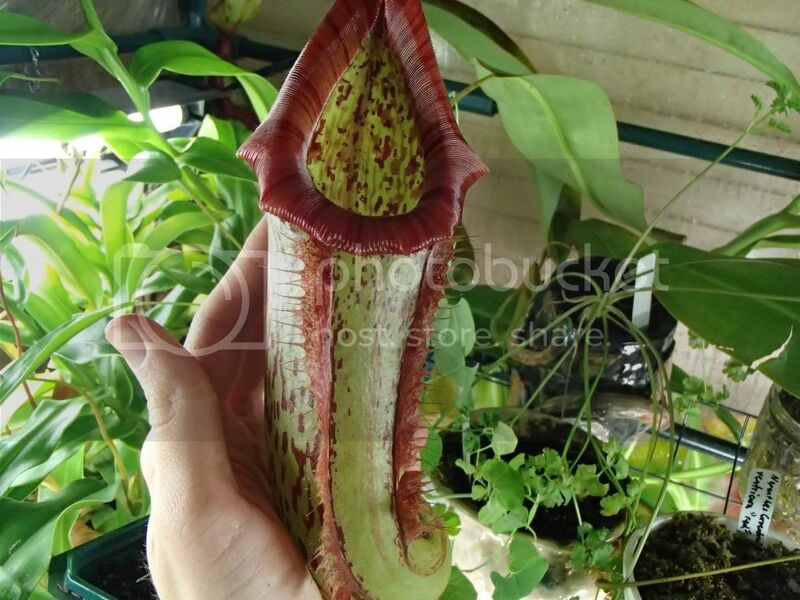 I don't care that much about pitcher size, I just need the plant as a whole to be small, my mom would never stand for a plant much bigger than what fits in a 12 inch pot, and a hanging basket would not be acceptable. 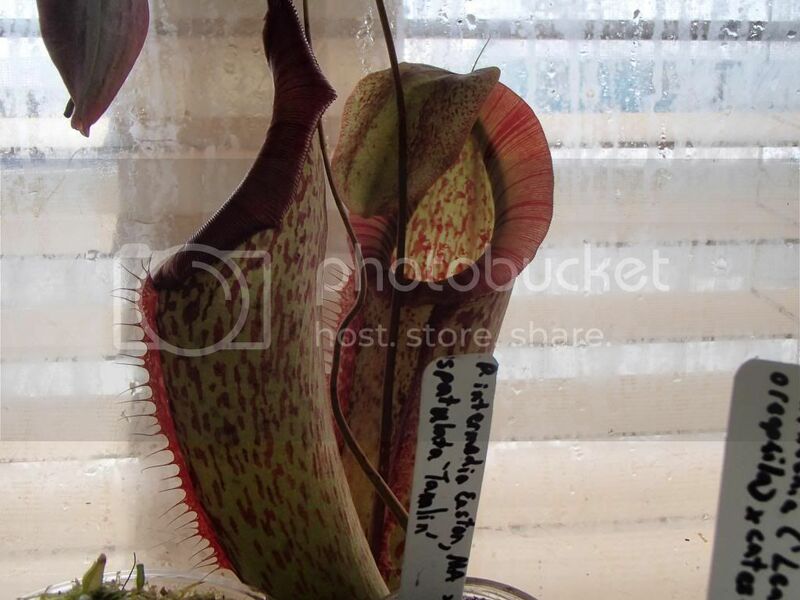 Carnivorousstu, if that's all your spectabilis has done, you might want to look into what conditions you're giving it. 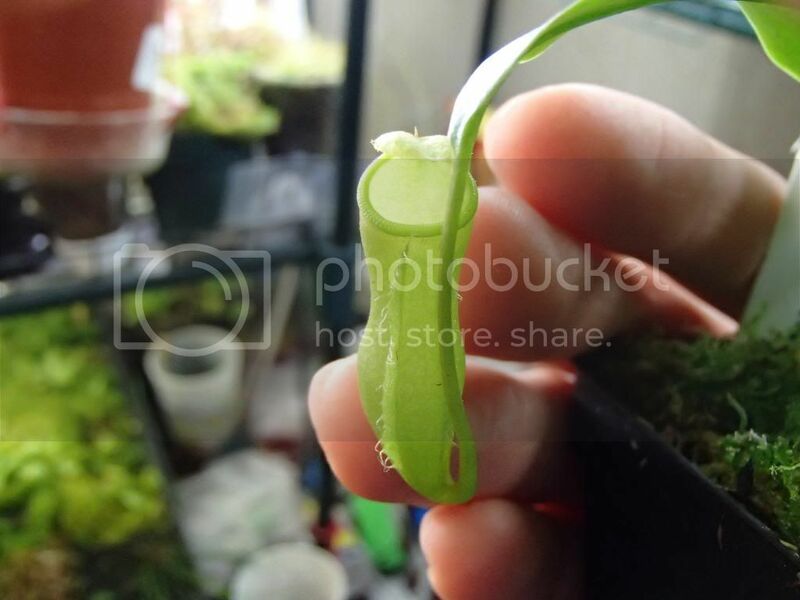 Mine has 3 basals and the main vine, and is constantly growing. 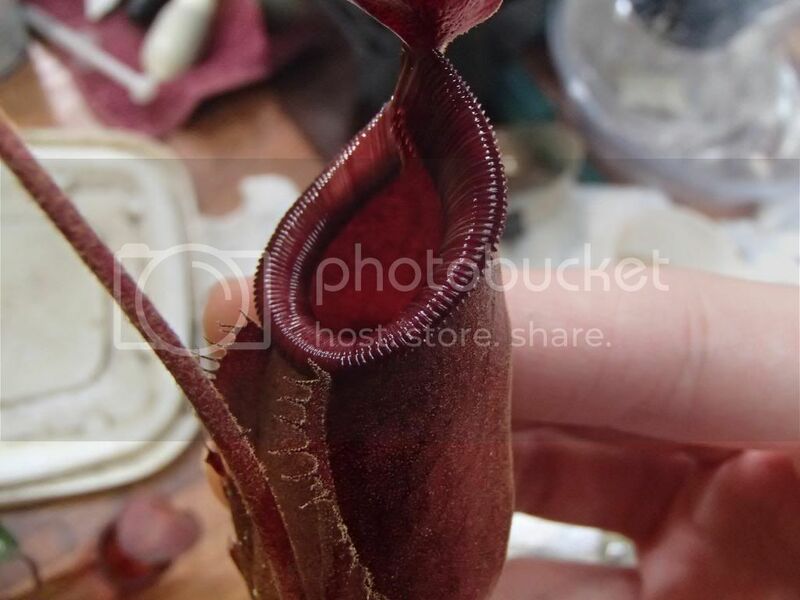 Sykosarah, now that I think about it you could look into species like gracilis and its relatives. And I know how green thumbs can go, I am growing oranges and blood oranges in my room from grocery fruit at the moment, and various vines and an aloe from cuttings. Thanks for the advise. 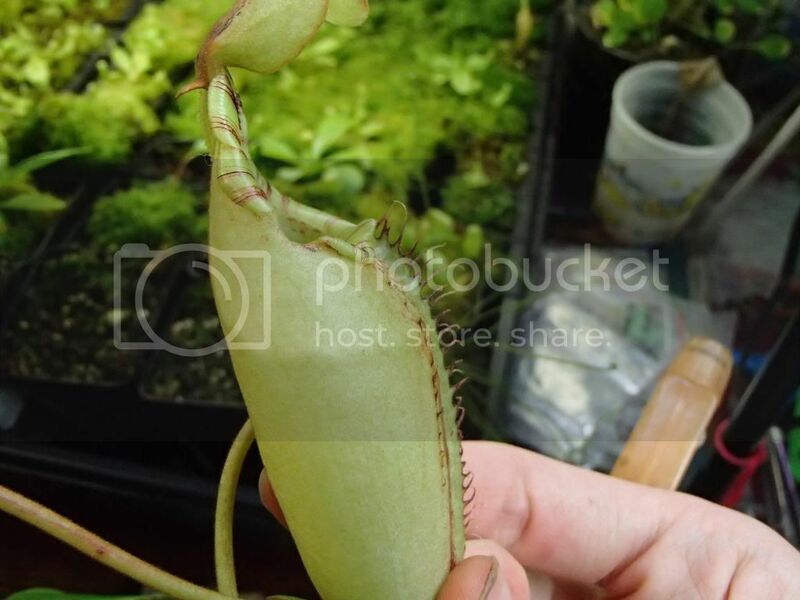 I have never grown a nepenthes before (although, I have a Venus flytrap, and have recently successfully had several drosera sprout from seed, as well as a pitcher plant pair, also from seed). 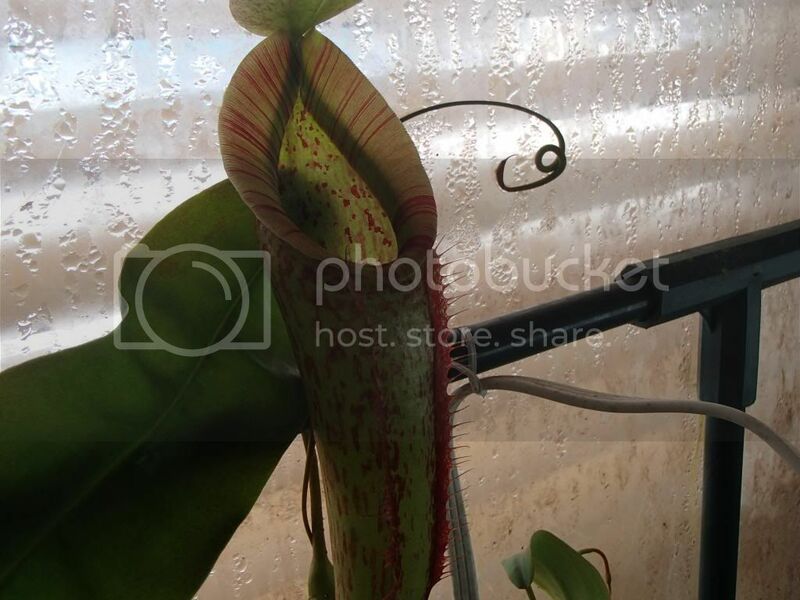 My desire is to have at least one of every basic class of carnivorous plant. Then I will be satisfied with my collection. 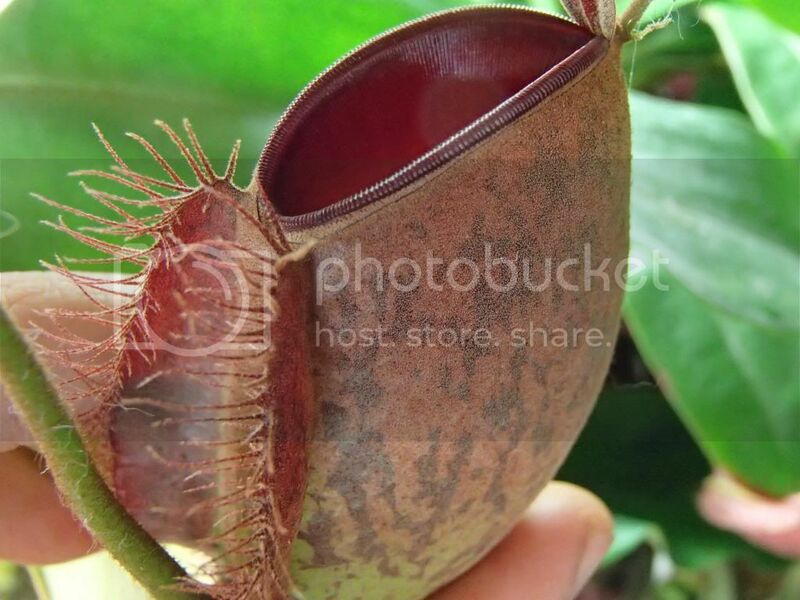 Although, I do not plant to grow nepenthes from seed, as I have with the rest. One of every basic kind? 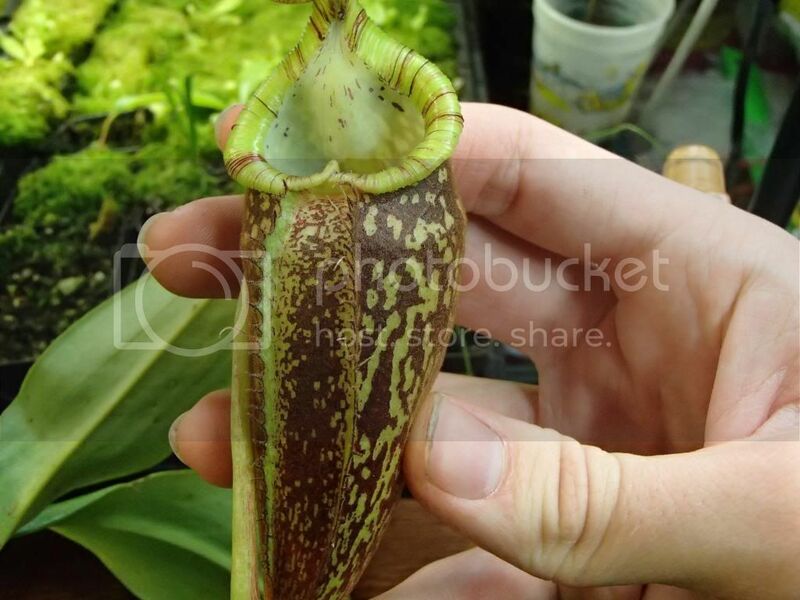 That could be flypaper traps, pitchers, eel traps, and suction traps, which is a pretty short list. 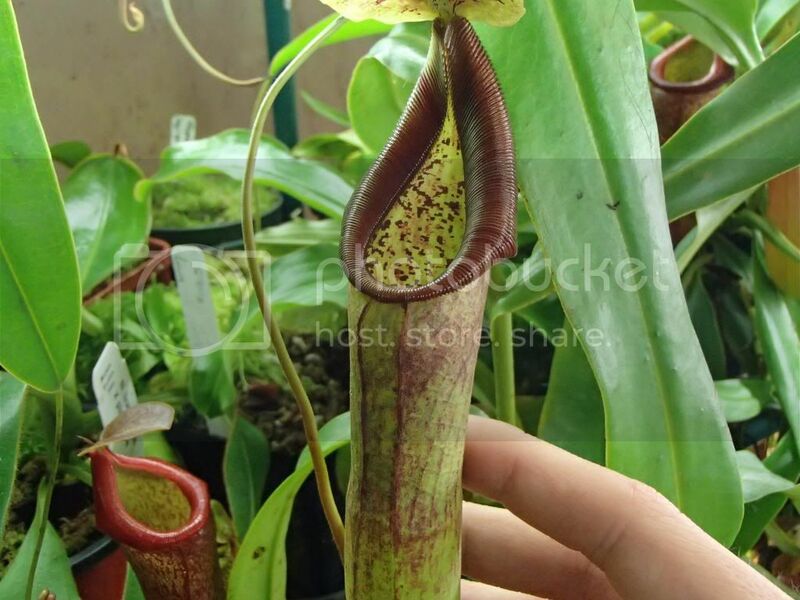 One kind from each genus will be a lot harder, with some of them rare in cultivation like Roridula. 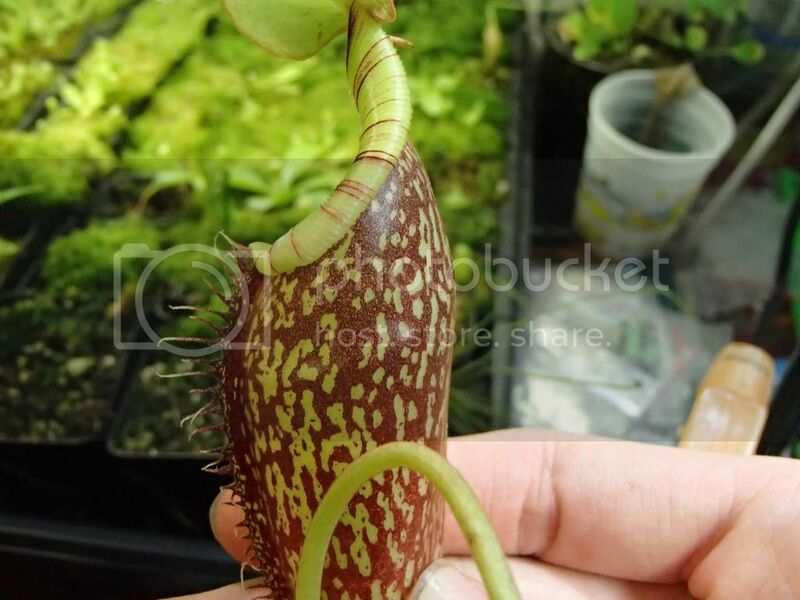 Also, if you've never before grown a Nepenthes, I'd say definitely start out with a hybrid of sorts, like ventrata, or species like ventricosa. 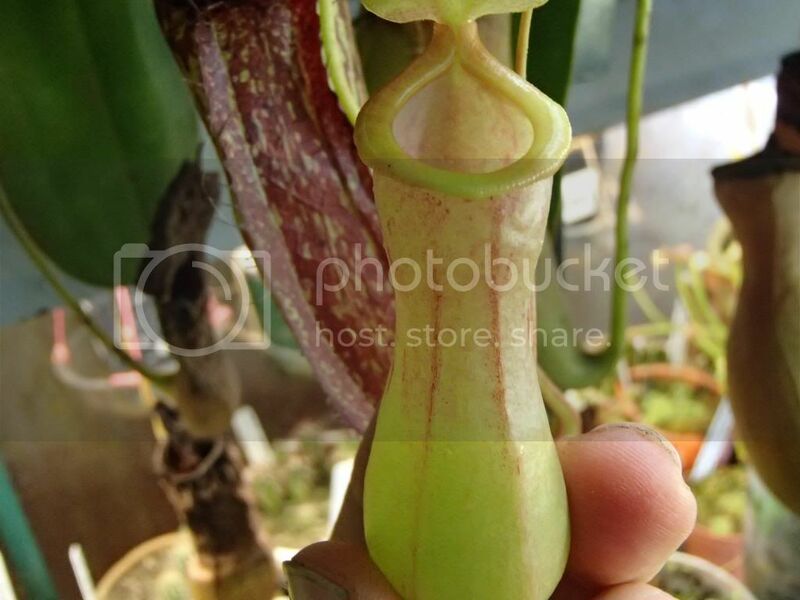 They can get big, even in only a 1 foot pot, but are good practice. 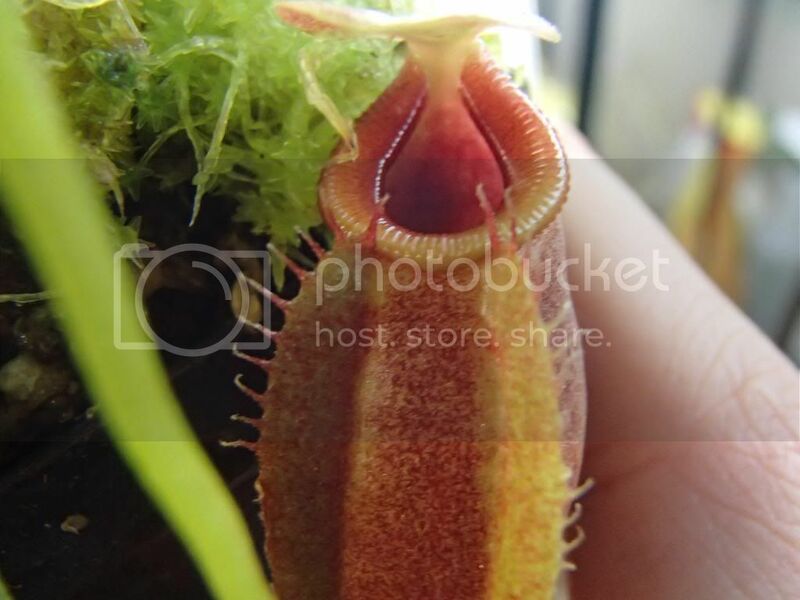 I had a ventricosa that for over 2 1/2 years lived in the ambient CO humidity. 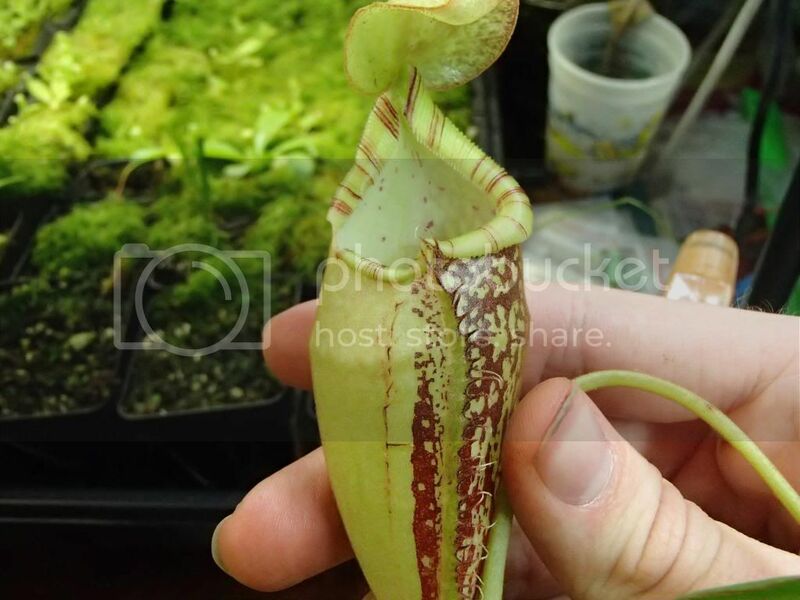 Didn't pitcher, sadly (the Miranda did though), but kept getting lengthier the whole time. 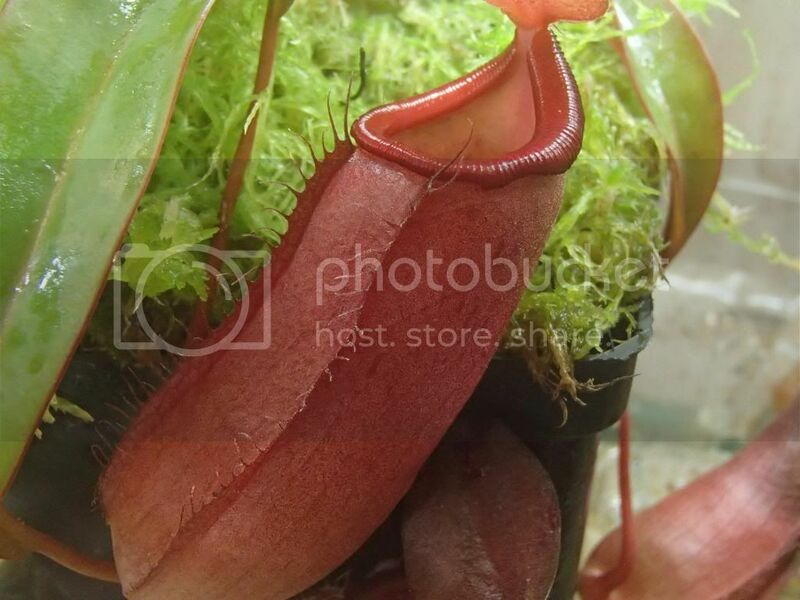 The kinds I want are Venus flytraps (check), trumpet pitchers (check), drosera (check), cobra lily, nepenthes, rainbow plant, and Cephalotus. 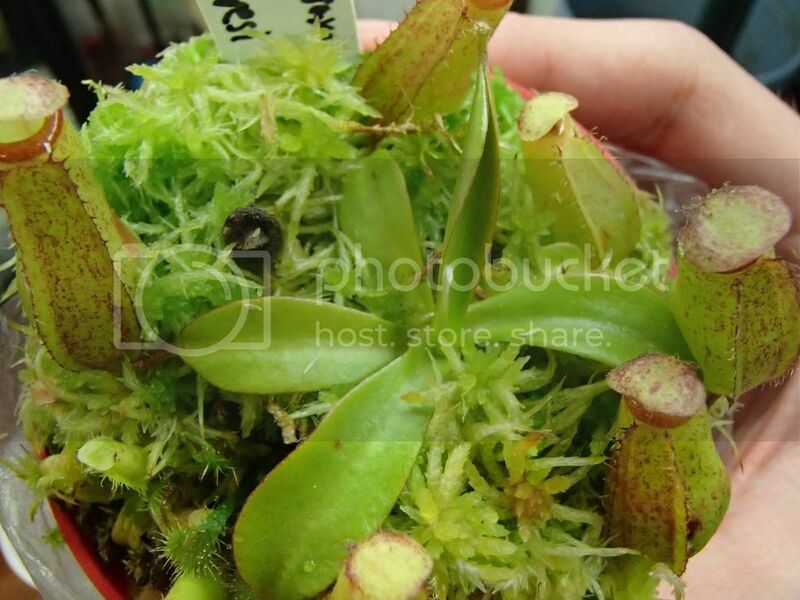 I am hoping to see if I am truly ready for the more difficult plants based on my success or failure with what I perceive to be the transition from easier CPs to grow to more difficult ones to grow. 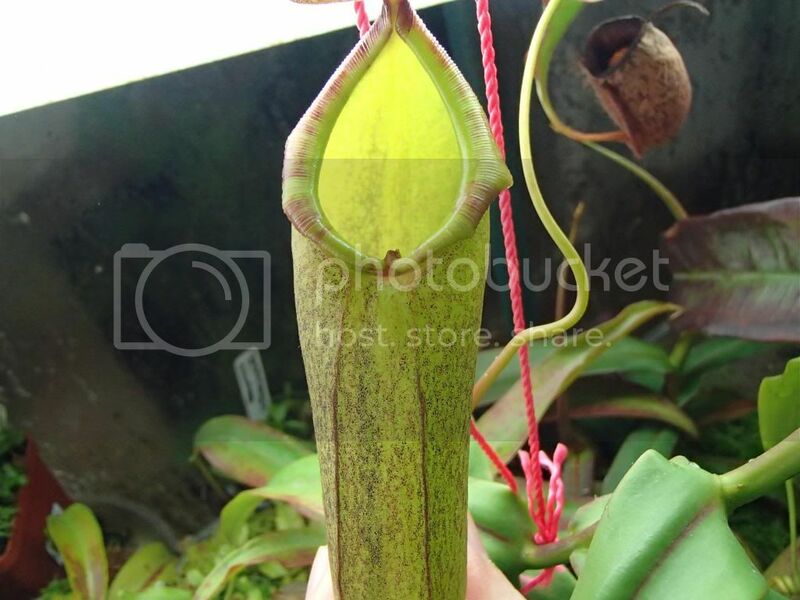 If I can't grow one of the easier nepenthes successfully, then I will not progress further down the list for a whole, and remain satisfied cultivating the easier plants for a bit. 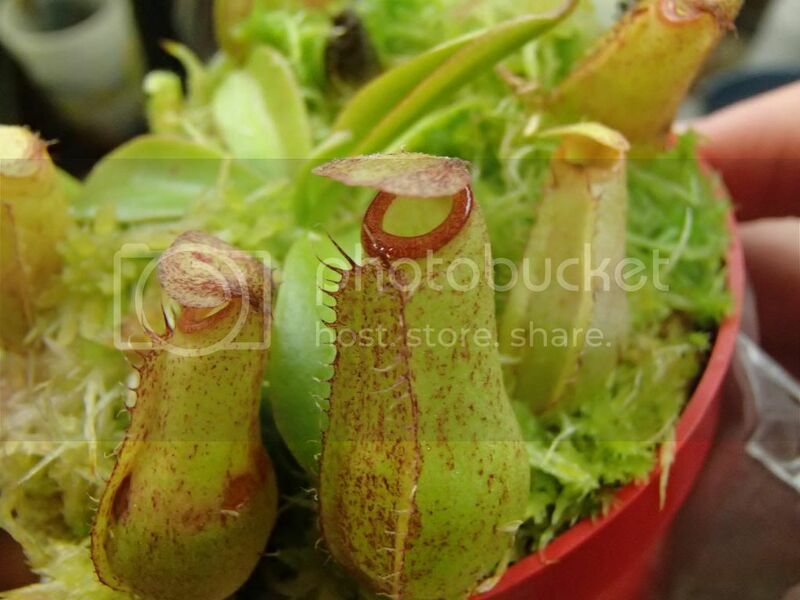 I am not into water bound plants or plants such as butterworts, where the flower is more the highlight of the plant than the carnivory. 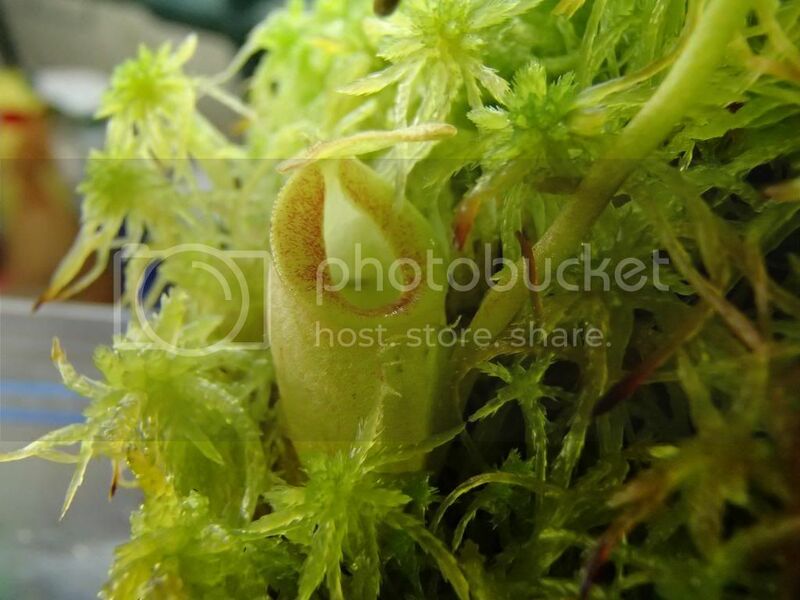 I find that the most interesting part of the butterworts is there carnivory, with the flowers being like bonuses. 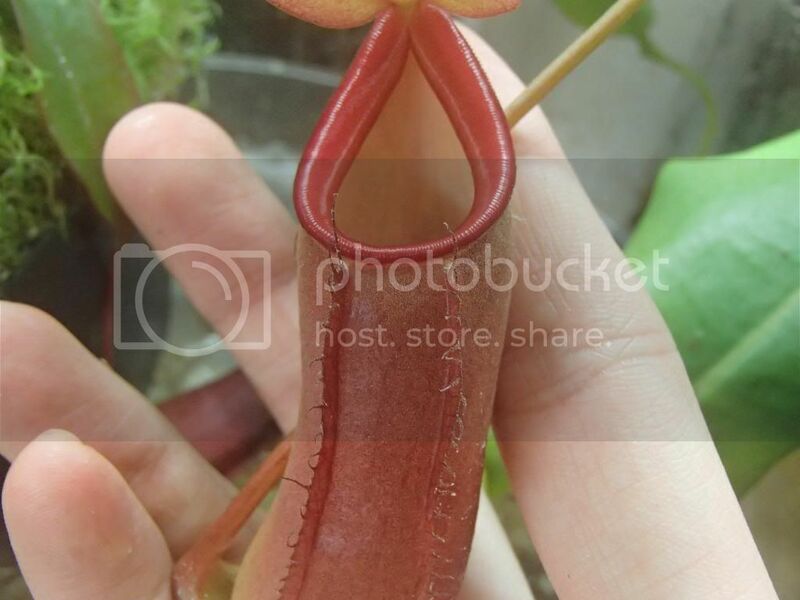 I love the Nepenthes graciliflora. The combination of red and green is really stunning. 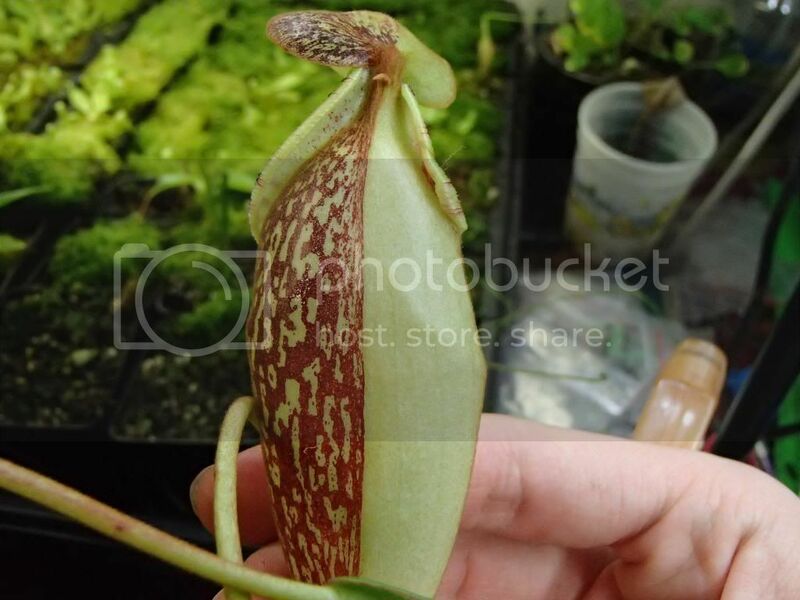 There are plenty that are really easy, like the N. Miranda and N. x ventrata shown below. 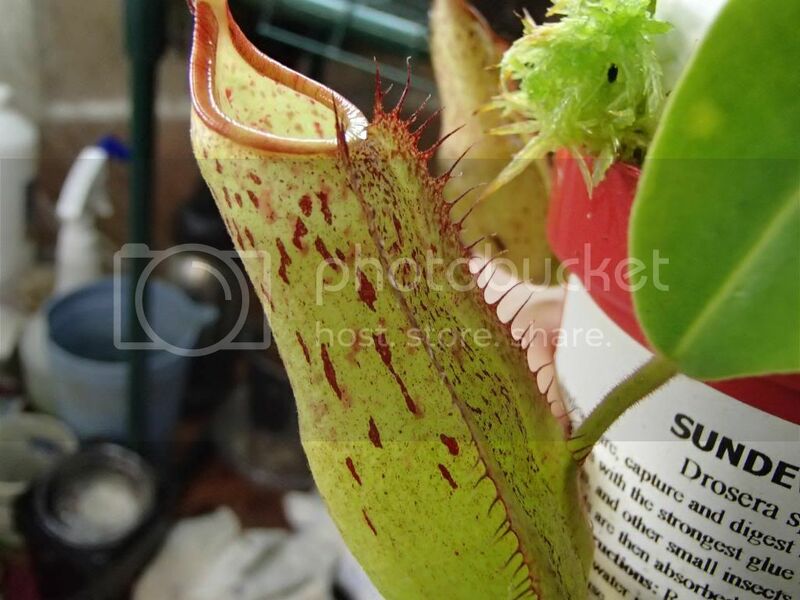 They can get big, but do well as houseplants. 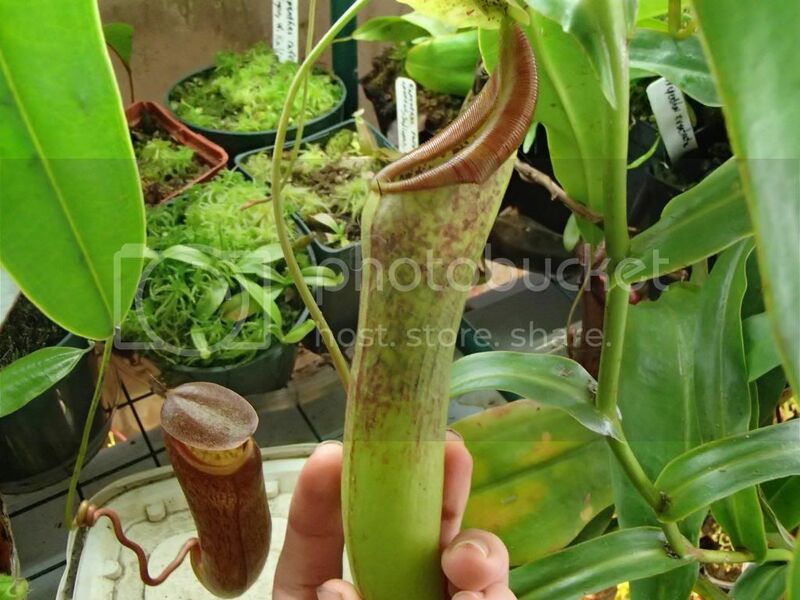 Yeah, but nepenthes live a long time, and that species can get big. And I got the family green thumb, so if it can get big, it usually will get big for me. Really big. 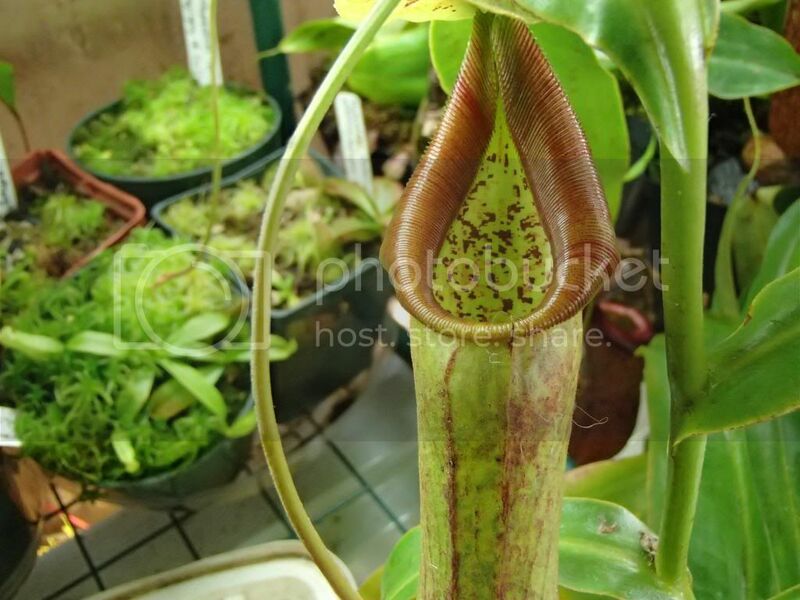 For most Nepenthes growers, that's kind of the point. 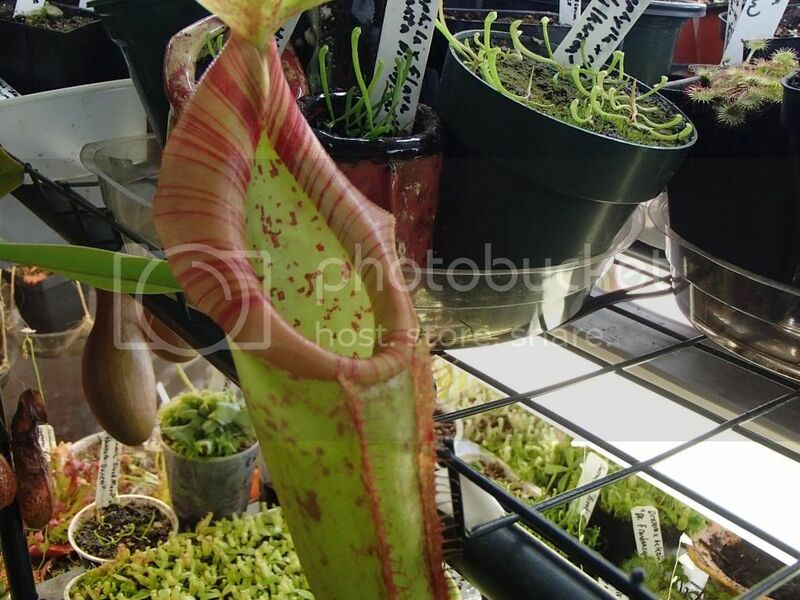 If you are really concerned about size, I definitely wouldn't start on Nepenthes until you have the space for them.